The more I get into electronics and engineering, the more software I find myself installing. It seems to never end, and I’ve learned to accept that. I like to think of it as adding to my digital toolbox, I just don’t like seeing my hard drive space fill up. However, there are some powerful tools available that do not require precious hard drive memory. For example, WaveForms Live! WaveForms Live is a browser-based Oscilloscope, Logic Analyzer, Waveform Generator, Data Logger, and Power Supply with FFT and Bode plots. 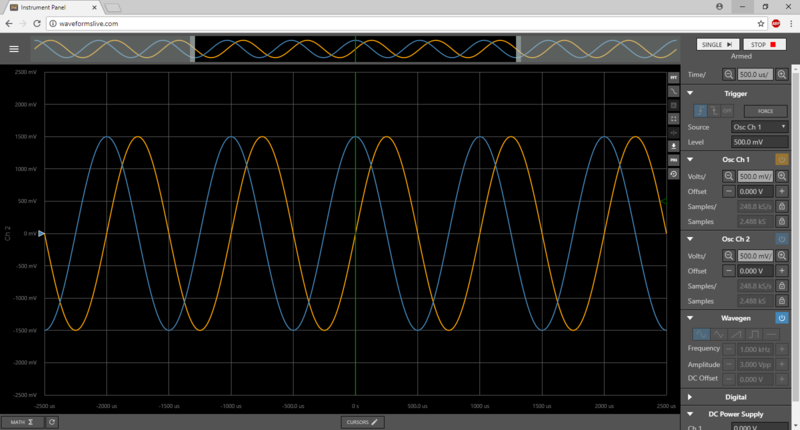 I set up a simple RC low pass filter to get some signals to show off in WaveForms Live. Below is a view of the Main Instrument Panel and all it’s sleek glory showing the input sinusoid and the filtered output signal. 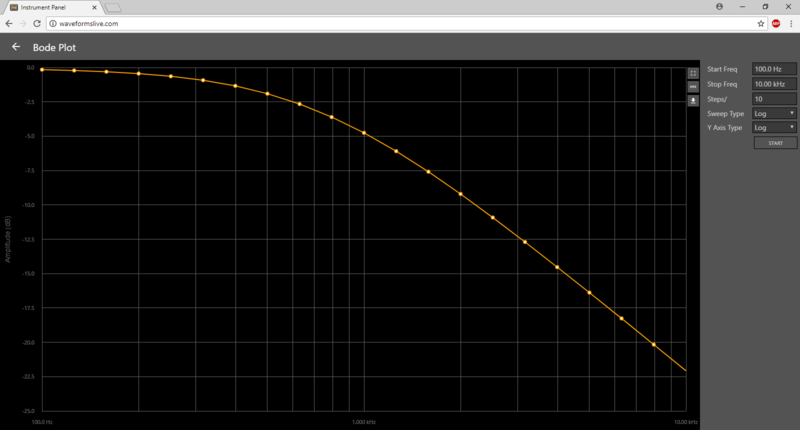 Another useful feature is Bode plots to graph the frequency response of a circuit. Below is a Bode plot of a low pass filter. Simple, satisfying, and exportable data. I really love the simplicity of the GUI. Below is the FFT window in WaveForms Live run as a simulation to show a simple time-based sinusoid in the frequency domain. What you will need to get going is the OpenScope MZ – an open source, multi-function, electronic instrumentation device. 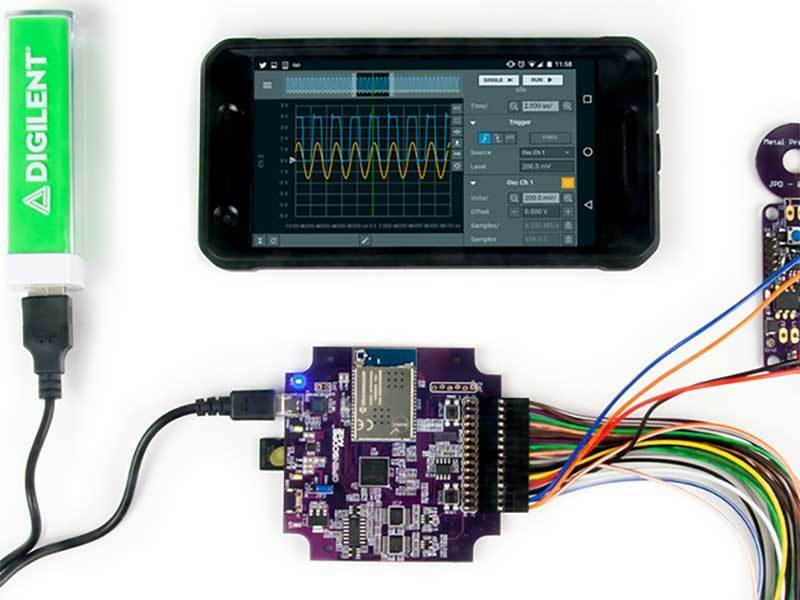 At $89, it is an inexpensive path to a mobile, analog and digital I/O lab with no need to download additional software; it is ready for you on the web! Even more, if internet access is not available, WaveForms Live has an offline version that can be run locally via the OpenScope MZ and Digilent Agent (also open source) within a browser or as a mobile app. The OpenScope MZ connects via USB cable or Wi-Fi for bypassing the mucky muck of all that cable action or use with a mobile device. Seriously though, the Wi-Fi capability makes this tool amazingly mobile. For example: you could implement the OpenScope MZ onto a mobile device/project (like a robot or a car) and use WaveForms Live to view signals while it does its thing. A Wi-Fi connection also makes the OpenScope MZ electrically isolated from your computer, laptop, or mobile device. The benefit of that isolation is if something wonky happens to the OpenScope MZ (or anything connected to it) or a mistake is made that is potentially harmful or dangerous, your computer or mobile device won’t inherit the risk. This is just one example of how Wi-Fi can change your analysis setup with WaveForms Live. 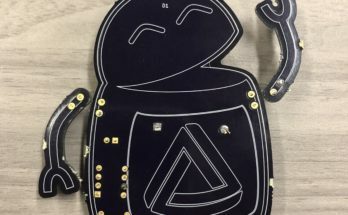 An example project that was done by Digilent’s very own Andrew Holzer on hackster.com entailed stuffing an OpenScope MZ into a Nerf Football with an accelerometer, and logging acceleration data in WaveForms Live while the football was in flight. Can’t do that with a desktop oscilloscope! Check out the project here. Inside view of the OpenScope MZ football by Andrew Holzer. 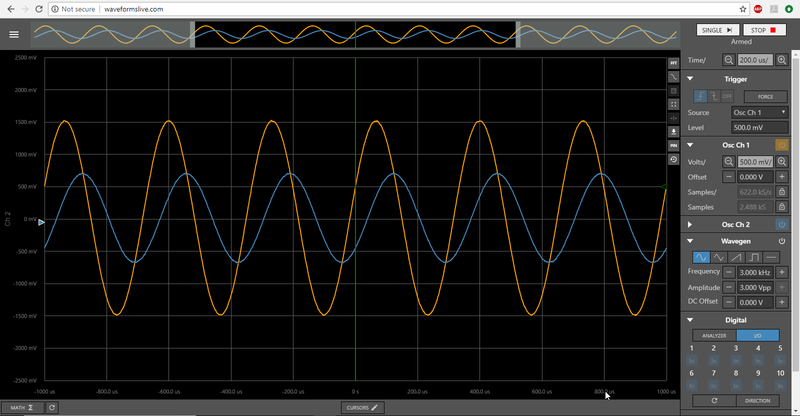 Guess what: WaveForms Live is also open source and has an API. Having an API for WaveForms Live allows for streamlined communication between your device and the software. For example: writing a custom automated test to verify a project’s functionality if you would be using it repeatedly or need to ensure functionality before some big event or demo. Pretty rad, right? Between the OpenScope MZ and WaveForms Live, the hardware, firmware, software, and mechanical specifications are all available to anyone on GitHub who might want to customize their tools to their needs. 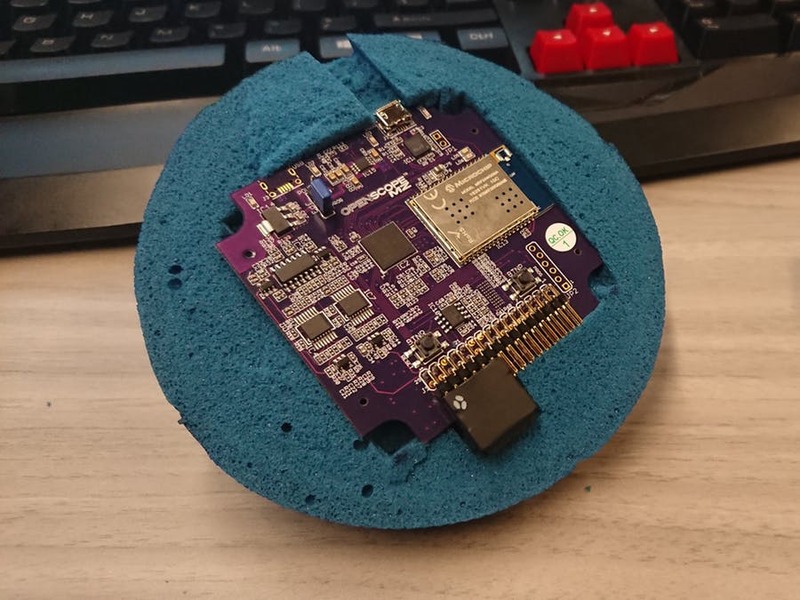 The OpenScope MZ is reprogrammable through the Arduino IDE or Microchip MPLAB X IDE (NetBeans Platform) and operates with a Microchip PIC32 MZ Processor. 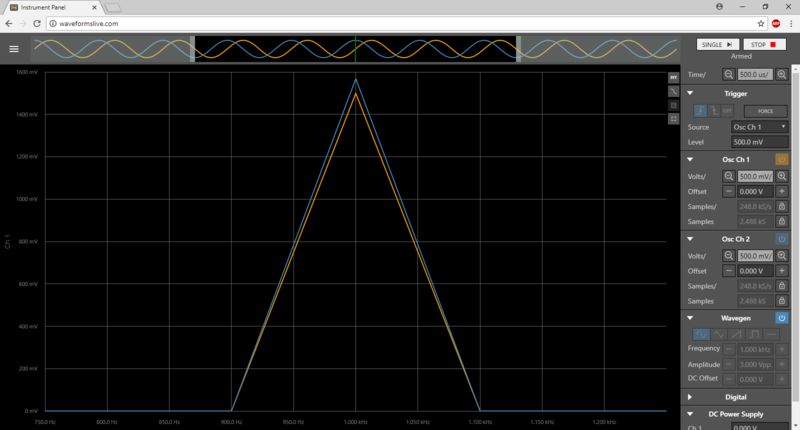 If you do not yet have an OpenScope MZ you can use a simulated OpenScope to try out WaveForms Live. 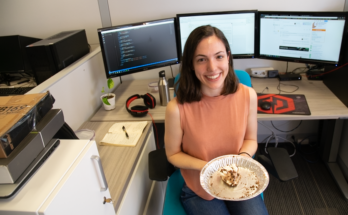 When planning your next project or revising an existing one, remember that these tools are not restricted to cable connections and local software. It can make all the difference and inspire a project idea that might not be very feasible otherwise. You can monitor signals without even being near them! Look Ma! No hands! Or cables! But I can still take measurements!